Home » Altcoins » What Is DigixDAO Coin (DGD)? What Is DigixDAO Coin (DGD)? Digix offers coins for gold on the Ethereum blockchain. The company uses the blockchain and its unchangeability, transparency and predictability by applying it to precious physical assets. Digix has created some technologies such as the Proof-of-Asset Protocol (POA) and Digix-Gold-Coins, the DigixDAO Coin, on Ethereum. In March 2016 Digix finished the first crowdsale on the Ethereum Blockchain. It exceeded expectations by taking 5.5 million within 12 hours. This created Digix DAO, the first major Ethereum Distributed Autonomous Organization. So far, Digix has created two types of Ethereum coins, each with unique properties. These two coins, DGX and DGD, complement each other to ensure their mutual success. DGX is to become the future gold standard for value exchange in the ethereum ecosystem. Each coin represents 1 gram of 99.99% LBMA standard gold and is secured and deposited in safe houses. An on-chain verification of the auditing, no fracture reserves and fully allocated gold bars are the main features of DGX. 100 DGX coins stand for 100 grams of physical gold, which the user can redeem personally or by mail. With DSG, the user is entitled to a quarterly reward based on the total DGX collected through transaction fees. They are used to submit proposals to DigixDAO for increasing the DGX adoption. The DGD value fluctuates by exchange rates and market forces. There are a total of 2,000,000 existing coins. Digix provides an application case for the coinization and documentation of physical assets through its proof-of-asset (PoA) protocol. The PoA protocol uses Ethereum and the InterPlanetary Files System (IPFS) to track an asset in its blockchain. This enables open and public verification of the existence of an asset without a central database. Digix also offers an API that allows you to build other applications on the company’s asset coinization service. The ledger technology is based on the participating users who supply the network by confirming transactions and using a consensus mechanism (PoS). Found blocks are automatically stored on each participating computer. Digix is to become the digital marketplace for gold bars. Each asset represents a unique gold bar held in designated deposits. The provenance of gold is traceable, unchangeable and exists indefinitely. The company enables users to buy gold quickly and efficiently. Digix has also developed a system to track asset existences and the respective asset owner on the blockchain. Each step in the authentication process is permanently published via Ethereum and its IPFS. The user can purchase gold bars from LBMA refineries with accompanying assay certificates from refineries such as Valcambi, PAMP Suisse and Nadir Bullion. An established auditor, Inspectorate Bureau Veritas, provides quarterly audits of each gold asset in the company’s safe houses. According to the company, gold is the safest value to secure one’s prosperity because gold has proven to be stable over the long term. Also, Digix can protect users from the inherent price volatility of digital assets with the gold standard. Buyers have never before been able to get gold bars on the market directly after the digital purchase of gold. The storage of gold bars makes it more difficult to trade and use them. Digix offers the means to liquidate the metal and use it in everyday life with the same level of physical security. Vitalik Buterin, programmer and co-founder of Ethereum, says about Digex:”Giving users easy access to many different types of digital assets on the blockchain, and in particular to coins associated with real-world assets, is crucial to the reputation of blockchain adoption at the next level and I welcome Digix’s initiative to be the first of many to launch such projects successfully. You can’t buy it directly for fiat on any exchange. You can choose the best place to buy bitcoin for your region and buy BTC there, then trade it for DGD on exchanges. Learn here how you can instantly convert altcoins to bitcoin and vice versa. If Coinbase doesn’t support your country, use Cex.io – read review about Cex.io here. Best and safest option to store your coins is to download an official coin wallet and store it on a hardware wallet – our recommendation is just go and buy Ledger Nano S, it is the safest option.You can read our review of Ledger Nano S or check out other top hardware wallets here. 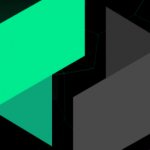 What Is Ubiq Coin (UBQ)? 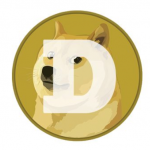 What Is Dogecoin Coin (DOGE)?